The 27th Annual Black Hills Stock Show and Rodeo Pioneer Awards and Cowboy Breakfast will take place on a new date and in a new location. The breakfast was Saturday, Jan. 26 at the Hilton Garden Inn in Rapid City. The Pioneer Awards honor individuals in three different categories that have made contributions to various different aspects of agriculture in South Dakota and have been pioneers in their respected fields. Winners of the awards are nominated and selected by the committee with regards to how they fit the criteria. The three awards include the Pioneer Ranch Award, which is given to a ranch that is still an operating ranch in the original generational ownership without break. This is the second year that this award has been given out. The next is the Pioneer Spirit Award which is given to individuals who are not specifically in the ranching and agriculture field but have made notable contributions to the area, community and agriculture industry. The third category is the Pioneer Award which is given to an number of individuals in the ranching and agriculture business community that have made significant contributions to or impacted the Black Hills Stock Show and Central States Fair throughout the years. This year the Pioneer Ranch Award is given to the Hunter Ranch from Ardmore, S.D. The Hunter ranch began with Jesse M. Rineer who was born in Lancaster, Pennsylvania in 1860 and who settled in Fall River County, S.D. in 1886. He squatted on the land and farmed it until the government survey was made, when he promptly homesteaded it. By 1914, Rineer owned 840 acres, two miles from Ardmore, S.D. In 1914, Rineer was elected county commissioner and married Sue E. Fowler and had four sons and four daughters, including Marjorie who was born on August 19, 1899. Marjorie married John W. (Jack) Sr. Hunter in 1917 and ranched next to her parents and after her father died took over managing the original place until they bought it in 1931. Jack Sr. and Marjorie had three boys, John W. (Jack) Jr., Darrell Dean, and Bruce, who died in infancy. Jack Sr. was a WWI veteran and member of the American Legion for 50 years and served as member and chairmen of the Selective Services System Board 23 for 16 years. He passed away in 1968 and Marjorie in 1979. Jack Jr. was born in 1922 and graduated from high school in 1940 and attended Mesa College and South Dakota School of Mines before joining the U.S. Marine Corp. in 1942 where he served until he was honorably discharged as captain in 1946. Jack Jr. married Mary Louise Berquist in 1947 and returned to the family ranch. He was very active in rodeo and later became an announcer in the PRCA in 1957 and member of the Legion as well as various other civic and social organizations. John C. (Jack) Hunter was born in 1951, to Jack Jr. and Mary and graduated high school in 1969 and married Laurel Erickson in 1971. He graduated from South Dakota State University in 1973 and then returned to the ranch where they had three children, Kristen, Ross and Alicia. Jack served on the Agriculture Advisory Board for SDSU and was Ardmore Volunteer Fire Chief as well as being member of other groups and organizations. 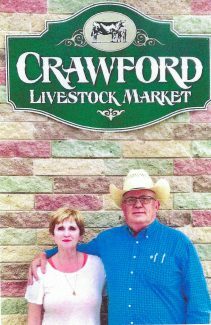 Along with running the ranch, Jack purchased the Edgemont Livestock Market in 1985, which was closed in 1993, Gordon Livestock Market in 1992, which was sold in 2004, and partnered with Crawford Livestock Market in 1988, which they are now sole owners of. Jack is a member of the Livestock Marketing Association and is currently serving as the Nebraska State President. Ross Hunter, Jack and Laurel's middle child, graduated high school in 1993 and attended one year at Chadron State College before returning home to the ranch and formed the partnership Hunter Cattle Company with his father. Ross married Trisha Fox in 2001 and they have three children, Tristan Wyles, Ashley Nicole and Jack James. The Hunter Ranch has continued to use the Turkey Track brand that Jack Sr. recorded during the 1930s. Over the years, the Hunter family has been involved in various aspects of the community and agriculture in western South Dakota. Looking through their history it is easy to see the many public service and volunteer hours they have spent has made them into the success they are today. Dale McPherson Family, Rapid City, S.D. Dale McPherson was born and raised on a ranch 26 miles east of Sturgis along Alkali Creek. Dale's father Eugene McPherson was one of the earliest homesteaders in Meade County. Dale's first auctioneering job was given to him by Jim Madden and Harley Roth, who ran the Sturgis Livestock Exchange. They had caught wind that Dale had been practicing auctioneering in the barn and wrote him a letter asking him to come to town and help with an upcoming sale. Over the years Dale won numerous awards, including the 1969 South Dakota State Champion Auctioneer, and sat on numerous boards. Dale is a charter founding member of the South Dakota Auctioneer Association and was also past director for the National Auctioneer Association. Dale has sold at a number of auction marts across South Dakota including Belle Fourche, Presho, St. Onge, and Phillip, and sold at the Faith Livestock Auction for over 50 years. Dale was also auctioneer for the Western Junior Livestock Show Auction for 50 years. Dale is married to Dorothy, who, over the years helped clerk many of Dale's sales, and they just recently celebrated their 60th wedding anniversary. Today, Kevin and Todd, Dale and Dorothy's sons, are in the auction business with McPherson Auction & Realty which has truly become a family affair. Kevin and Todd grew up around auctioneering and in 1995, Kevin followed in his dad's footstep and became the South Dakota State Champion Auctioneer. He is also a past director and past president of the South Dakota Auctioneer Association. Kevin sold cattle at the livestock auctions in Kimball, Highmore, Presho, Martin, Philip, Chadron, Rushville and Mitchell for many years. 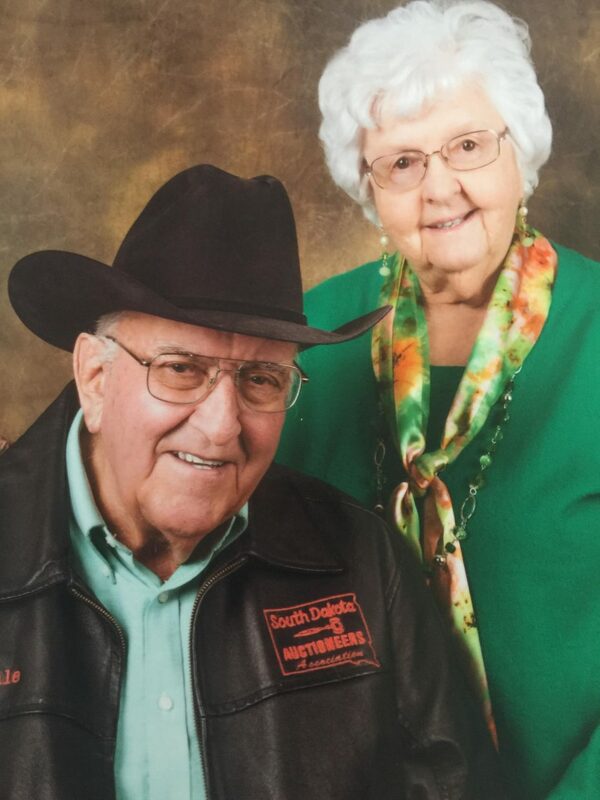 The McPherson family has been involved in the Black Hills Stock Show and Central States fair for a number of years. including raising money for the Central States Fair Foundation, Black Hills Stock Show, Rocky Mountain Elk Foundation, South Dakota Youth Hunting, Ducks Unlimited, Pheasants Forever as well as organizations such as Diabetes Inc., St. Jude's Hospital, SDSU Agriculture scholarships and local 4-H groups. They have become a vital part of what makes agriculture and the western community in South Dakota so successful. John E. Johnson was born in Spearfish, S.D. and has strong ties to northwest South Dakota, having being raised on a cow/calf operation located in Harding County near Sorum, S.D. It is now a third-generation ranch, well over 100 years old with John's grandmother homesteading it. John attended a country school for eight years and then graduated from Spearfish High School. In 1972 John graduated from South Dakota State University with degrees in animal science and economics. In July of 1972, John went into the banking business, where he spent 15 years with the US Bancorp, 22 years with First Western Bank and eight years with First Interstate bank. John retired in December of 2016 after a successful 45 years of banking in western South Dakota. In 1972, John announced his first horse sale in Lemmon, S.D. and has been announcing ever since. John has announced Quarter Horse sales for 46 years and has announced the Black Hills Stock Show Sale for over 40 years, reading pedigrees. 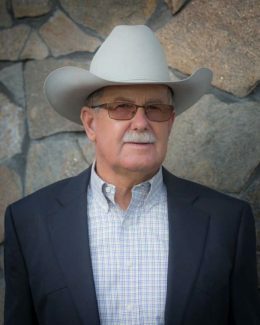 John became more involved in the Black Hills Stock Show when he moved to the Black Hills in 1977, eventually serving on the horse sale committee for many years. 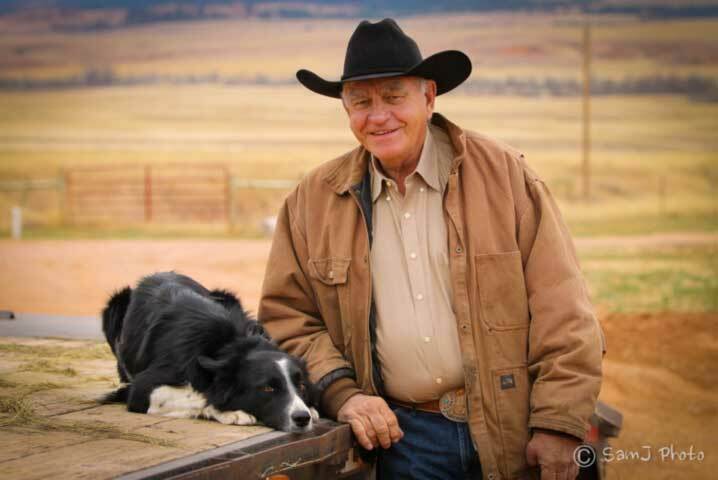 One of John's goals was to have a diversity of horses in the Black Hills Stock Show Horse Sale. There are performance horse sales at many of the major stock shows like Fort Worth, San Antonio, Houston, and Denver but the Black Hills Stock Show Horse Sale is unique because it sells all types of horses, everything from yearlings, bred mares, started horses, performance horses, saddle horses and ranch horses. It does not cater to any one type of horse which is one of the things John and the board really wanted to achieve. They wanted to make it a sale for everyone in the horse business. John is still involved with the horse sale committee, even though he is no longer a board member. He still attends most of their meetings and is there when they do the selection of the horses for the sale. John was one of the incorporators of the Black Hills Stock Show Foundation and served on the Board of Directors for many years. John was also selected as the first Black Hills Stock Show Businessman of the Year. 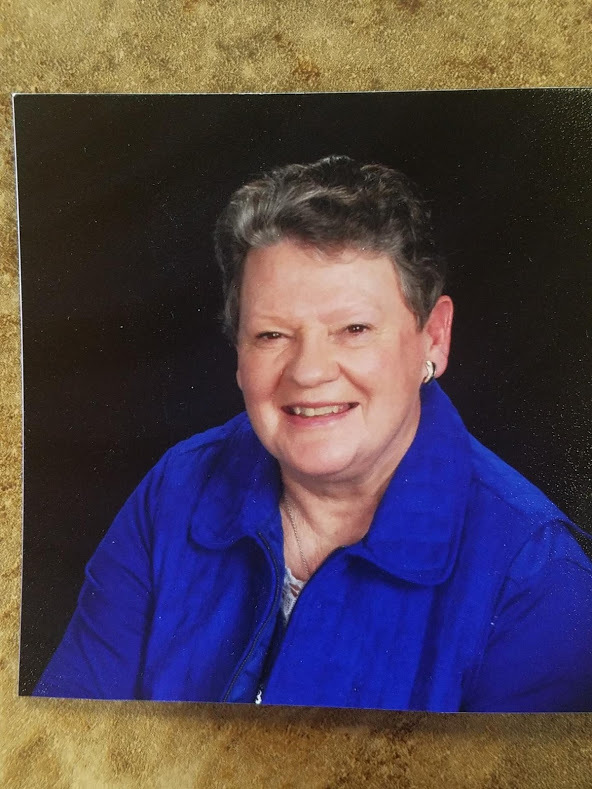 Patty Bruner has owned and operated Brunner Quarter Horses with her late husband Don in Rapid City, S.D. for over 30 years. Their primary focus has been the development of quality Quarter Horse prospects with many offspring rising to competitive status at all levels of the industry. Together with Brad Beauvais, originally from Rapid City and who now resides in San Antonio, they have raised two AQHA Champions, a Superior Halter Horse, AQHA World and Select World Qualifiers, and the earner of numerous CONQHA, SDQHA and WQHA awards. Patty also operates the Happy Horse Haus located on the Long View Road near the Central States Fairgrounds and Rapid City Airport. The Happy Horse Haus offers all the facilities to board horses overnight with stalls, turnouts, outdoor arena and RV hookups. Patty has been a part of the Back Hills Stock Show for many years, both showcasing and helping to organize. She first started putting stallions on the Black Hills Stock Show Stallion Row in 1978. She remembers it fondly because it took place at fairgrounds in the quonsets that were not heated. Patty exhibited horses on Stallion Row until the 2000s. She also participated in the Black Hills Stock Show Horse Sale. Patty is on the committee for the Stock Show Youth Day, which includes Beef Cook-Off, Livestock Judging, Livestockology, Horse Quiz Bowl, Hippology and Dog Show. Youth Day is a great way for young people to become involved in agriculture and learn while having fun. Patty focuses mainly on Hippology, which is an equine veterinary and management knowledge test. She is also personally in charge of the Horse Quiz Bowl. The 2018 Black Hills Stock Show Youth Day brought about 350 youth from around the region to compete in the events. Patty has served as an officer or board member of the South Dakota Quarter Horse Association, Center of the Nation Quarter Horse Association, Wyoming Quarter Horse Association, Rapid City Quarter Horse Association, Black Hills Riding Club and she continues to promote the horse industry in the Rapid City area. Patty believes that the important part of the Back Hills Stock Show is the comradery that it creates among the people. It brings people together with common interests and exposes urban individuals to what keeps this area of the country alive–agriculture. Bud Ireland was born in 1946 to Theodore and Gerry Ireland on the family ranch at Folsom, SD, about one mile south of Railroad Buttes. His grandfather had purchased the ranch from Henry Larson and then resold it to his parents. However, due to poor water the family had to move a few miles south of that location. Bud attended Folsom School for the first eight grades, which was located three miles cross country. Most days he would ride to and from school on horseback. He later went to high school in New Underwood and lived in the school dormitory until his senior year, when he lived with Fred and Violet Tisdale. During his senior year of high school, Bud's parents decided to sell the ranch. Since running the ranch was no longer an option for Bud, he went to college at Northern State University and became a teacher. Bud taught one year in Rawlins, W.Y. and then returned to Rapid City where he taught junior high mathematics for 40 years. Bud married his high school sweetheart Peggy Cox, a teacher as well, about a year after graduating from college. At the time of their marriage, the only thing they had was their love for one another and their college debt. They struggled with the goal of owning their own land and worked towards that goal their whole life. Bud and Peggy are now both retired from teaching and staying busy with their horse operation, a small herd of cows and raising and selling bred heifers. Bud and Peggy have two daughters, Kami, a veterinarian and partner in Dakota Hills Veterinary Clinic in Rapid City, and Lana, a doctor of physical therapy who works for PeakMotion in Spearfish. Lana is married to Levi Dacar and they have one daughter, Ellie. It has always been an unwritten goal of Bud's to serve his family and community and to promote education. Bud believes that anyone can be successful through hard work and education. Bud has served several decades on the South Dakota High School Rodeo Board and the New Underwood Roping Club. He has also served on the Pennington County Conservation Board, Central States Fair Horse Board, a 20 year member of the South Dakota Buckaroos and a brand inspector for 15 years.